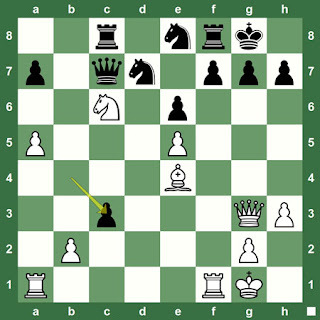 The first edition of the 8-player Geneva Chess Masters was incredibly strong. 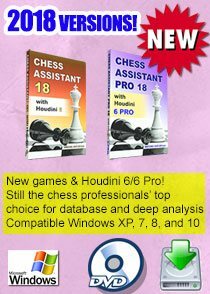 The tournament was a great success, and provided very exciting matches, which saw the final win of Shakhryar Mamedyarov over Vladimir Kramnik. 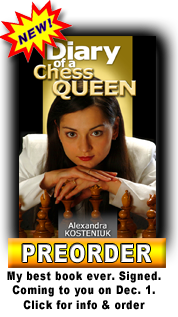 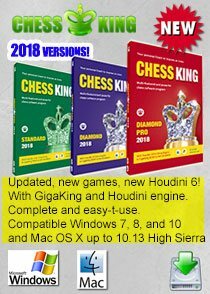 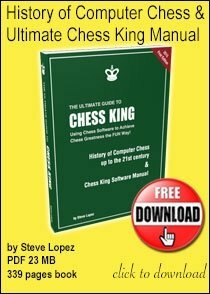 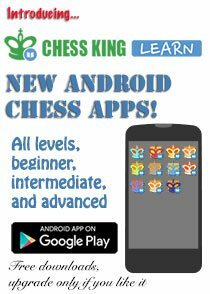 Chess Queen™ Alexandra Kosteniuk created a sensation when she beat 2-0 reigning French champion Romain Edouard rated almost 200 points higher. 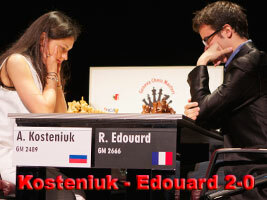 Try to find the move the 12th Women's World Chess Champion Alexandra Kosteniuk played to win this game vs. Edouard. 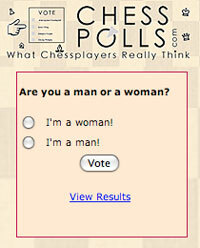 When you're ready, watch the YouTube video at chessqueen.com. 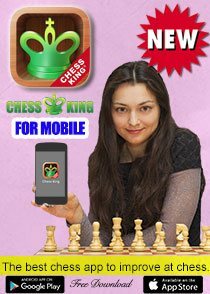 The video has been commented by former European Women's Champion and a poker professional Grandmaster Almira Skripchenko.